They are more suitable eating plants. Some sources say that about iguana iguana is omnivorous. When someone says that iguanas will benefit from all kinds of food, be it of plant or animal products is an error. This is because the metabolism of iguana better suited to absorb protein from plants. Protein is found in animal products are too complicated to be used by iguana. This means that not all proteins can be absorbed by their bodies as nutrients. So what happens to protein that is not absorbed? Now, normally this protein is stored as uric acid. The uric acid can have a very harmful effect on your iguana. Disposing of animal proteins which had already entered this causes the kidneys to work very hard Iguana. This means that the products of animal protein can cause problems for kidney iguana. And it means so much shorter lifespan Iguana. Many people think about the iguana that iguanas are stupid animals. But people who have actually iguana can prove otherwise. A pet iguana can be trained to do many different things. Some people have been trained so that they ketoilet iguana. Others have trained their iguanas to do various kinds of tricks. Some iguanas can even find your way home! This achievement is evidence that iguanas are not stupid. Sometimes, people just tend to judge other beings inferior to them. They can grow up to six meters in length. Most people think about Iguana iguana that will always be enough with their existing enclosures. But in fact an iguana can grow to reach lengths of up to six meters! This means that you have to prepare a habitat that can accommodate the growth of an iguana. Some people may not be able to immediately provide for a six-meter cage for iguanas. However, you should be aware that the iguana will have a growing body size in length, so you have to plan the size of the cage. Wild iguanas spend most of their time in trees. What are the implications of this? Well, an owner of an iguana iguana should simulate the habitat. It means you need to put some of the material that can be climbed by the iguana in their cages. Of course, you do not need to put a real tree in the cage. However, you need to consider to put something that can be used to climb by your iguana. Some people think of iguana that artificial light is a good substitute for sunlight in the iguana cage. However, what you need to know is that iguanas need the sun not only for lighting. An iguana using UVA and UVB light to absorb nutrients. This is due to UVB light triggers a chemical reaction in the skin iguana that helps make vitamin D3. This vitamin is used to process calcium in the bloodstream. These are just a few little quirks that you may want to know about iguanas. As you can see, caring for an iguana is not an easy task. 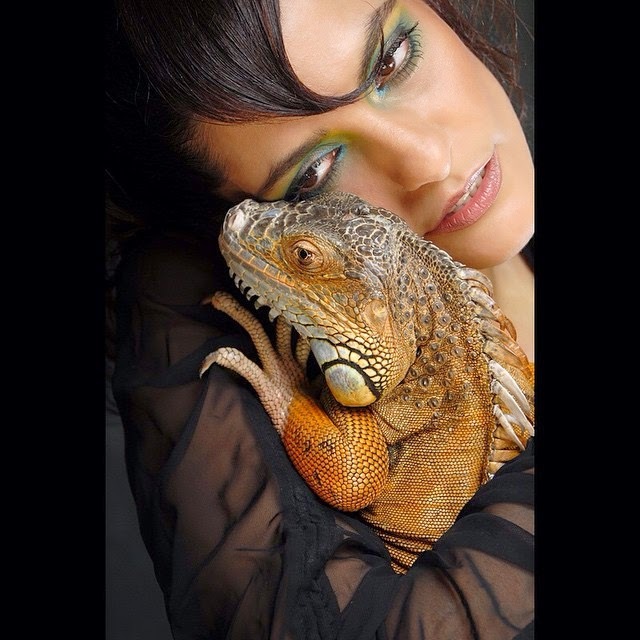 In order to take proper care of an iguana, people should learn as much as possible about them. By taking these small details into consideration when caring for an iguana and will ensure the health of your iguana.